Axel, who was four years old, had lots of toys, especially dinosaurs. He knew all their proper names and when they lived, what they ate and all sorts of other important facts because he was a very clever boy. But of all his dinosaurs, he loved his T Rex the most. T Rex was green and fierce looking, with big teeth and claws, but Axel felt quite safe with him. T Rex was with Axel wherever he was – at the breakfast table, at kindie, when he went to bed, and lately, when he went to Sunday School. You see, Axel had only just started Sunday School a few months before, so together he and T Rex learned about stories in the bible, especially the ones about Jesus. Axel liked those stories, and was very excited when his teacher, Miss Kennedy, told them that they would be celebrating Jesus’ birthday by putting on what was called a nativity play. She read the Christmas story to her class and said that everyone was welcome to come to the manger and worship Jesus – rough shepherds and important kings, and all sorts of animals, like sheep and cows and donkeys. Axel was thrilled! He could hardly wait to tell his parents about this new story. “But you told us that everybody was allowed to come to the manger.” he wailed. Axel took his tears to his mum and dad, and told them that Miss Kennedy had told him that he couldn’t take T Rex with him any more. His parent looked at each other and said, “What if we had a little chat with her. Would that be all right?” Axel nodded. Then they said, “This might cheer you up. Great aunt Effie will be here for Christmas, and she’ll be coming to the play.” That did cheer Axel up. He remembered great aunt Effie with affection. She was very old, and smelled of lavender, and would scoop him up in her arms when she came in the door and give him a big kiss. He liked her very much. At Sunday School a week later rehearsals for the nativity were about to begin. Axel clutched T Rex hoping that Miss Kennedy wouldn’t see him, but it didn’t work. Axel told his parents, “Miss Kennedy says that T Rex is too old for the play and I said that Aunt Effie is old and if she can come to the play why can’t T Rex besides aunt Effie takes out her teeth and T Rex would never do that because he’s a good and clever dinosaur….” It took some time before he ran out of breath. It was clear that his parents had not talked to Miss Kennedy. 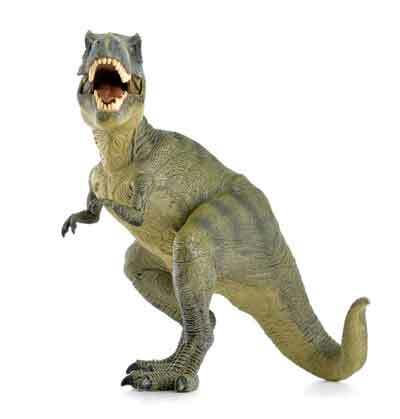 During the week Axel thought and thought about T Rex and the nativity play. Then he remembered that the name ‘Rex’ meant ‘king’. He also knew that there were three kings in the play, so why couldn’t T Rex be another king? He put this to Miss Kennedy the following Sunday. Miss Kennedy gave up. She promised herself that she would talk to Axel’s parents. There was only one more rehearsal to go before the big day, but before that, Miss Kennedy paid a visit to Axel’s house. He played with his toys on the lounge room floor while his parents and Miss Kennedy talked in the kitchen. They talked for a really long time, but when Miss Kennedy left, she seemed to be happy. Axel wondered what would happen next Sunday. Axel carried T Rex defiantly into Sunday School, ready to do battle with Miss Kennedy. But instead she had something very important to say. Afterwards great aunt Effie hugged him and said what a wonderful play it was, as how special the different ending was. “It brought tears to my eyes.” she said, which embarrassed Axel no end. Miss Kennedy was also close to tears. She didn’t know whether anybody would like the change in the play, but she needn’t have worried. Everybody there loved it. She made a mental noteto pay more attention to what the children could teach her in future. That night Axel hugged T Rex tight as he lay in bed, and dreamed of all sorts of prehistoric beasts gathering around the manger to love and worship Jesus. And T Rex smiled his toothy smile and dreamed the same dream, except that he was in the manger with Jesus, being hugged just like Axel hugged him.